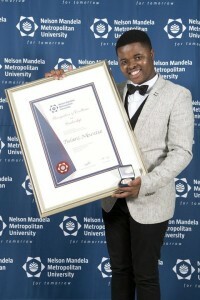 PARALYMPIAN swimmer and gold medalist in the Montreal 2013 IPC Swimming World Championships Kevin Paul is winner of the coveted Sportsman of the Year Award for the third consecutive year after Nelson Mandela Metropolitan University recognised students at the Annual Achiever Awards dinner at the institution last night. 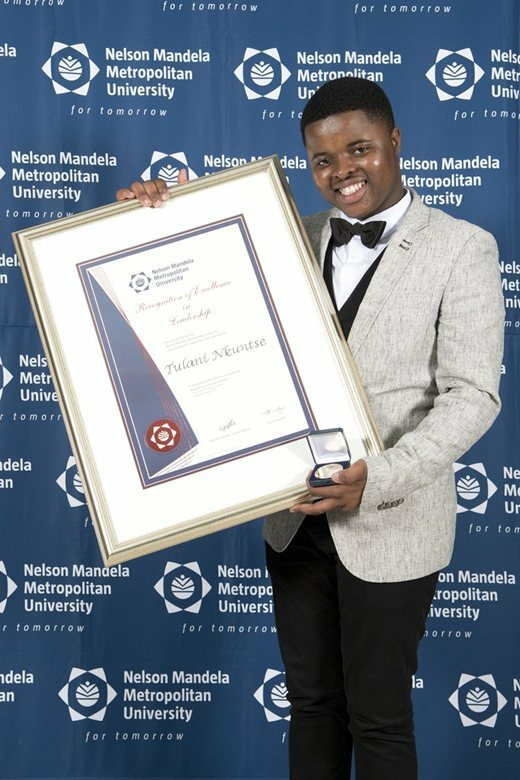 Paul, who is a third Law student, was joined on the podium by Proteas netball player Nontle Gwavu, of the NMMU Netball Club, as the 2013 Sportswoman of the Year. Nontle is currently in the national team touring England but will return for a triangular series to be played at NMMU against England and Trinidad and Tobago starting on 25 October. 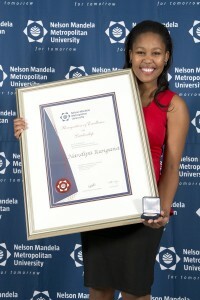 Cultural, residence, society and leadership awards were also made at what is recognised as a highlight of the student calendar at NMMU. 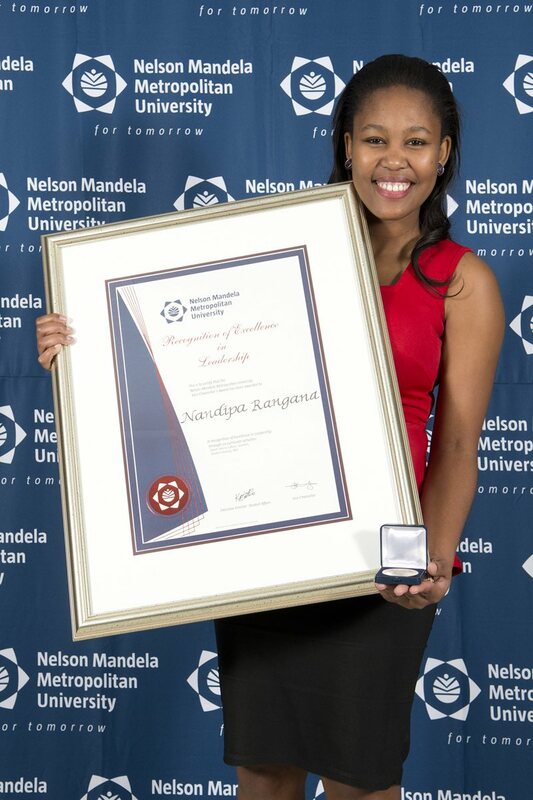 The Vice-Chancellor Awards, honouring excellence in leadership, and accepted as the top awards at the university, went to Tulani Nkuntse, a BA Political Science honours student, and Nandipha Rangana, who is completing her Masters in Development Studies (see accompanying story).